When flying your pets to your new home overseas, you’d probably prefer to have them right there in the cabin with you. But while this is always the safest option if possible, can you imagine trying to contain a large dog in an aircraft seat? Not to mention countries like the UK and Australia will only allow pets to enter the country as animal cargo. So that means your pets are likely to have to travel in an aircraft’s cargo hold. Many people choose to hire a pet courier or relocation service to handle the safe transportation of their pets. Their expertise can be invaluable in ensuring your furry friends have a stress-free journey as possible. From temperature-controlled transport to pet-friendly airlines and custom crates, a good pet courier should know the best way for your pets to travel in comfort. When it comes to choosing your pet courier, it’s best to choose one that is a member of the Independent Pet and Animal Transportation Association (IPATA). This organisation sets the professional standards and ethics involved in animal transport, monitoring the performance of its members. Here are your top 10 pet couriers in 2019 – and they’re all IPATA-approved. This UK-based pet courier is the only pet transportation service in the country to be run by vets. Who better to take care of your pets? Established back in 2004, PetAir UK have now transported over 12,000 animals to their new homes. They serve most international destinations, carefully selecting airlines to offer your pet the shortest and best journey possible. They can also take care of all the necessary documentation, from pet passports to import permits. Your pet will receive a custom crate ideal for their size, and the PetAir UK vets can complete all of the vaccinations and health checks your pet needs before they fly. Based in the US state of Arizona, these pet relocation specialists boast a 100% safety record. With 22 years of experience, Happy Tails Travel Inc have a global logistics network, shipping to most countries around the world. They handle every part of your precious pet’s journey, from customs clearance to transport between your home and the airport. 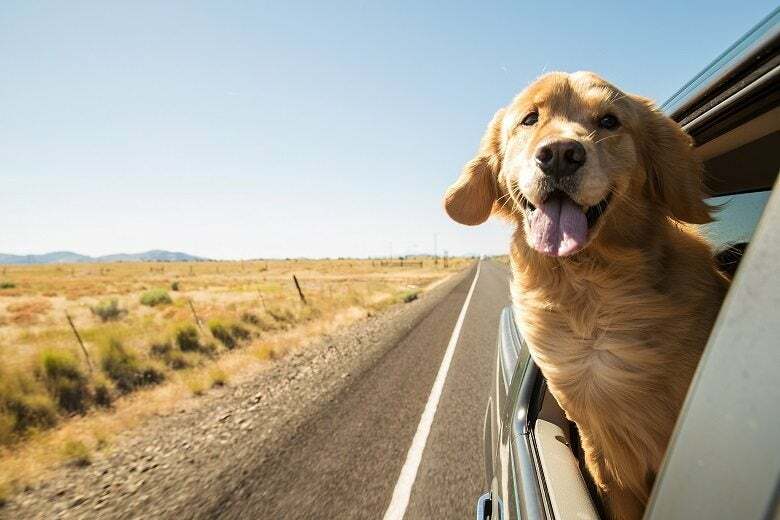 If you are travelling during the summer months, you can take comfort from the fact that, coming from the deserts of Arizona, they have plenty of experience transporting animals in the heat! International relocation plans start at US$850. This customer-focused company offers a “one-stop destination” for pet relocations out of and into the United Arab Emirates. Owned by a licensed vet, Pets Oasis handle every step of the process, including customised International Air Transport Association (IATA) travel crates, flight booking, door-to-door pickup and delivery, document processing, boarding and in-house veterinary checks. Their primary airport is Dubai, but they can accommodate travel to and from other airports in the UAE. Airpets offer convenient and luxurious pet transportation services. If you opt for a full door-to-door service, your pets will enjoy a short stay in their shiny new in-house facilities prior to their flight. Think grooming, hydrotherapy and secure exercise areas. During their flight, they’ll be in comfy IATA-approved sky kennels. You will be allocated a personal pet travel consultant to oversee every step of the journey. While they serve a wide global network, travel between the UK and the US, South Africa, Australia and New Zealand takes place on an almost daily basis. These Canadian pet travel experts have a great track record – over 20 years without death or injury to any pet they have moved. PetFlight offer international pet relocations from their base in Toronto, with Australia, the UK, South Africa, Dubai and New Zealand as their specialities. They handle both Canadian pet imports and exports. Quotes are personalised and can be adjusted to give you more responsibility in certain areas if you are looking for the cheapest pet shipping option. With Animals Away, you can be sure your pet is in experienced hands. They have relocated over 50,000 animals around the globe! Established in 1992, this worldwide company offers first-class door-to-door services. From their offices in New York, Seattle, Boston and L.A. they handle every logistical aspect of your pet’s relocation experience – from documentation to transportation. Australian couriers, Pet Carriers International, have offices in Sydney, Melbourne, Brisbane, Perth and Adelaide. They handle international relocations into and out of Australia. With great in-house boarding facilities close to the major airports and a fleet of comfortable climate-controlled vehicles, they offer a comprehensive service. As the longest-running pet courier service in Cape Town, this South African company have plenty of experience. Animal Travel Services pride themselves on offering an elite service for corporate clients, with everything from top-notch boarding facilities to pet chauffeur services. They also lay on pre-flight pampering and grooming for your pets. They’ll also help you navigate South Africa’s strict import and export regulations (put in place to prevent illegal trafficking of the country’s much-loved endangered species). Air Animal is a veterinarian-founded pet transport service, based in Florida. Since 1977, it has grown from a small family-run affair into one of the most extensive pet relocation companies in the US. Their comprehensive network includes over 225 airlines around the world. As an IATA-endorsed air cargo operator, they have high standards in humane pet transportation. Fees start at US$2,695 for a full VIP international door-to-door service from the US and US$1,595 for their more basic Book & Fly international package. For a Canadian pet relocation service with offices in Vancouver, British Columbia and Toronto, look no further than Worldwide Animal Travel. As owners of Canada’s only customs bonded cat and dog kennels, imported pets can be cared for by their team before they have even been cleared through customs. They specialise in relocations to Australia and New Zealand, Japan and the rest of Asia, the Middle East, South America, the US, the UK, Africa and Europe – so basically all over the globe! They can provide a full service including travel permits, boarding, door-to-door collection and delivery, and IATA-approved custom flight kennels. Patrick joined MoveHub in November 2016, working with us for a year as a Publishing Executive. His interests focus on world politics, economics, and travel. In his spare time he can be found swimming, reading, cooking, and, currently, travelling the world.